What Should I Do If I Am In A Golf Cart Accident? As an avid golfer, I can attest to the convenience of using a golf cart to navigate the many miles of a day on the golf course. Having a cart to transport yourself and your golf clubs helps avoid a lot of heavy lifting, and getting around the course is much quicker with a golf cart compared to walking. According to a study published in The American Journal of Preventive Medicine, golf cart-related injuries increased approximately 132 percent between 1990 and 2006 in the United States. During that period, more than 150,000 Americans had to visit an emergency room to be treated for injuries stemming from a golf cart accident of some form. In 2006 alone, there were a total of 13,411 reported golf cart accidents nationwide. 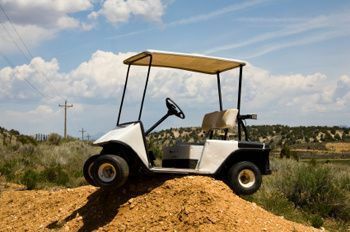 Like with most types of motor vehicle accidents, the type and severity of injuries that result from a golf cart accident can vary quite a bit. In some cases, the injury can be as simple as someone’s foot getting rolled over by the golf cart or it can be as serious as a person falling out of the golf cart and being crushed by the vehicle. In some parts of the country, it is not uncommon for people to drive their golf carts outside of the actual golf course itself. This is particularly the case in parts of central and eastern Washington where the setting is less urban and more rural, which means golf cart drivers don’t have to navigate congested roadways. However, the numbers show that people are at a higher risk of being involved in a crash when they take their golf carts onto the streets. In many cases, golf cart drivers are not at fault for an accident that leaves them with serious injuries that require medical attention. But as is the case in motorcycle collisions and bicycle accidents, riders are afforded much less protection than that of a standard motor vehicle and are exposed to a greater risk of serious injury because of it. One factor that clearly contributes to an increased likelihood of being injured in an accident with a golf cart is the fact that many people treat golf carts like toys rather than using them carefully and responsibly. Golf carts also have limited speed capabilities – most don’t go faster than 20 miles per hour – which can give drivers a false sense of security and make it easier to be reckless. Whether on the road or on the golf course, it is all too easy to underestimate the chances that you could be injured in a golf cart accident. What Is Washington State's Golf Cart Law? Unless you are within the proximity of a golf course, it is unlikely that you will find an officially designated “golf cart zone” anywhere in King County or other urban areas where roads are filled with fast-paced motor vehicles, pedestrians and bicyclists. Do I Have A Golf Cart Accident Injury Claim? If you ever find yourself involved in a golf cart accident, it is important that you do everything you can to get the details of the accident documented should you have grounds for a personal injury claim. If your accident occurs on a golf course, contact the owner of the facility to get any details about insurance policies and contact information for the owner. Also, if you believe that your accident was caused by the negligence of the facility, take pictures of any dangerous conditions that you believe may have led to the accident. If you are involved in a collision with another vehicle in your golf cart, treat it like you would any other motor vehicle collision by obtaining the insurance policy and other information about the driver of the other vehicle. For more information about how to handle a motor vehicle collision, check out the Washington Accident Books, authored by Davis Law Group founder attorney Chris Davis. ?Does Washington State Revoke Drivers License At A Certain Advanced Age? ?How Bad Is The Poly-Drug Driving Problem In Washington State?